There are literally dozens of different Colorado season ski passes to choose from. With so many ski areas packed into one state, you are certain to find at least one that is both affordable and accessible for you and your family. In addition to the passes offered for Summit County and Vail/Beaver Creek, there are Colorado season ski passes for Winter Park, Aspen/Snowmass, and smaller ski areas such as Eldora, Loveland and Copper Mountain. The prices in 2009 are $599 for an adult and $299 for a child. 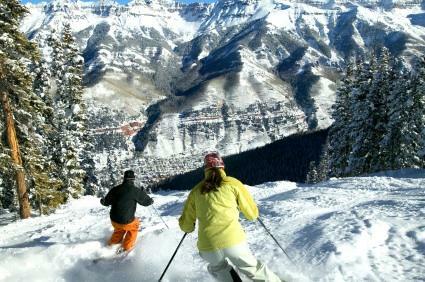 The Colorado Pass is similar to the Epic Pass, but it includes unlimited, unrestricted skiing at Keystone, Breckenridge, and Arapahoe Basin, plus ten days at Vail and Beaver Creek (with restrictions during Thanksgiving, Christmas and New Year's).Other benefits are the same as the Epic Pass. 2009 prices are $459 for an adult, $339 for a teen, and $219 for a child. You also get four $59 lift tickets to Vail, Beaver Creek, Breckenridge and Keystone. Lower Lifts Pass: This pass, for $59, allows you unlimited skiing on two lifts. In Snowmass, you can ski Assay Hill, and on Buttermilk, you can ski Panda Peak.